A lime is a lime is a lime…right? You’d be surprised how much the taste of different varieties of limes can vary. Although all limes are tart and will make you pucker if you eat one like an apple, this citrus fruit is used in many beverages and food dishes, from Mexican cuisine to that of Thailand. You can even put a wedge of lime into your beer, like residents of Mexico often do. 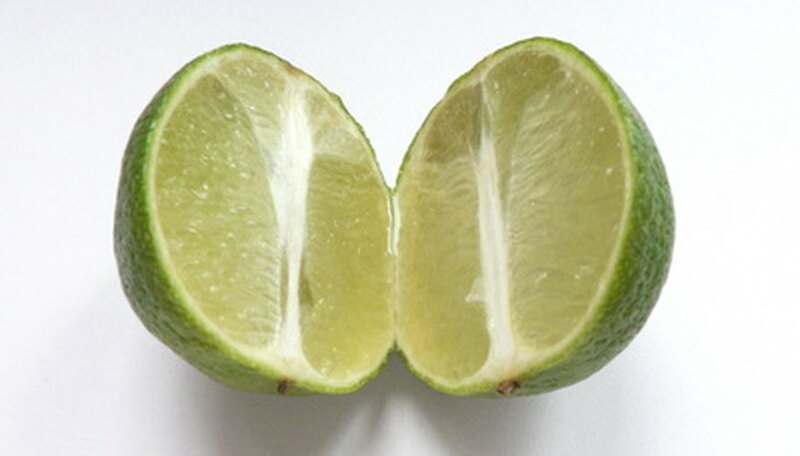 Also known as the Bearss seedless lime and Persian lime, the Tahitian is a medium sized, very juicy lime. This lime is better adapted to cooler climates than many other lime varieties and is often grown outdoors as far north as USDA climate zone 8. (Dallas, Texas is an example of a city in zone 8.) Tahitian lime trees can reach 20 feet in height and develop only a few thorns. Be sure to grow it in a sunny area with fast-draining soil and keep it well watered year-round. Although the Tahitian lime is less likely to become damaged from frost than the key lime, protect your tree on cold nights by covering it with clear plastic or blankets. The fruit can mature at any time of year, with the heaviest production in summer. When you keep Tahitian limes in a refrigerator, they will keep for up to eight weeks. The Mexican lime is often called the key lime, after the pie that made the Florida Keys famous. It’s a small fruit, usually no more than 1 1/2 inches in diameter, with many seeds, but the flavor is one of the best of all the limes. The tree is very thorny, however, so you might want to build a simple wire frame around your tree if you have children. Growing the key lime in a container is a good idea for areas that receive hard frosts or snow. Use standard, fast-draining potting soil and a container that is at least 12 inches in diameter. When you move it indoors in fall, make certain it remains in an area that gets the maximum amount of sun every day. A kinder, gentler key lime, the thornless Mexican lime is a favorite variety of many backyard gardeners. Like the key lime, this fruit grows to about 1 1/2 inches in diameter. If you have children who like to play outdoors among your landscaping, the absence of thorns on this lime can ease the fear that moms and dads have about their child getting a nasty puncture wound. The thornless Mexican lime is a bit more frost tender than some of the other varieties, but is the most popular lime tree in the United States, according to Citrus Trees Online. It grows well in a large container and survives cold winters when you bring it indoors before your first fall frost. Although it’s not an official lime, this 1-inch orange fruit has a distinct, tangy lime flavor and makes a good addition to iced drinks. It was introduced to the United States around 1900 and called the “acid orange.” It’s thought to be a hybrid of the kumquat and a lime, according to PlantIt Hawaii, although some believe it is a cross between a lime and a mandarin orange. It tolerates drought well and grows successfully along the U.S. Gulf Coast. Because it is very frost tender, you can grow a calamondin lime in a large container, which you leave outdoors during summer and move indoors for the winter. Calamondins often reseed themselves in tropical environments—the small fruits have numerous seeds, many of which are often viable. Although it is considered a hybrid, the seed reproduce true to type. Because of their thin skin, calamondin limes do not keep well—about two weeks in the refrigerator is the best you can hope for.